And like a summer vapour steal away! Nor thought it fled, how certain, and how fast! And dust to dust proclaimed the stride of death. So smiling and so perishing the while. While memory wept upon the good man's bier. And strangers gaze upon my humble stone! And leave the issue to thy will, O God! 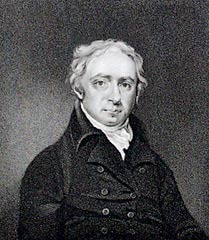 William Lisle Bowles became vicar of Bremhill in 1804. Author's Note: Good man's bier - My predecessor, Rev. Nathaniel Hume, canon residentiary and precentor of Salisbury, a man of exemplary benevolence.